The Tribloos are back in a brand new adventure! Join Trey and the gang as they embark on a brand new epic journey. The storms that wrecked havoc on their island have returned and they need to find a way of stopping them permanently before their friend Matilda the Dragon completely tires out! Can you help Trey build his way to the truth behind these terrible storms and stop whoever is responsible once and for all? Find out in The Tribloos 2! The Tribloos 2 is rated 4.4 out of 5 by 43. Rated 5 out of 5 by carb7250 from Love this Game Super cute game and easy to get into. Rated 5 out of 5 by hookedfish from Love the challenge! I have really discovered how much I love the challenge of a good strategy game. Along with Kingdom Chronicles, I am continuing to enjoy HOURS of play. Even after finishing, I am pulled into trying to get a max score on each level (not yet done!) and it requires THOUGHT and planning and strategy! Yumm! Lots and lots of hours of play. Rated 5 out of 5 by LAndersen from Challenging and enjoyable game with lots of levels Just completed this game yesterday and simply had to submit a review - my first ever. Tribloos 2 has so much going for it - great gameplay, cute graphics, delightful music, lots of challenging levels and quite a few surprises along the way. Although having been through all 75 (!) levels, I still haven't completed all the Challenges (bonus rounds) and also intend to go back to improve some of my results. 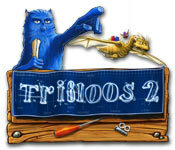 All in all, Tribloos 2 is fantastic value for money - it's obvious that a lot of thought and enthusiasm has gone into the making of this great game. Bravo! Rated 5 out of 5 by ZennT from Can't recommend this enough! Screenshots didn't appeal to me at first but this game is amazing (you have to try it!). It's a strategy game (Collect/Make/Build) where you have to consider the task sequence and allocate builders wisely. There are different time to beat, so you can go for gold if you like a challenge. 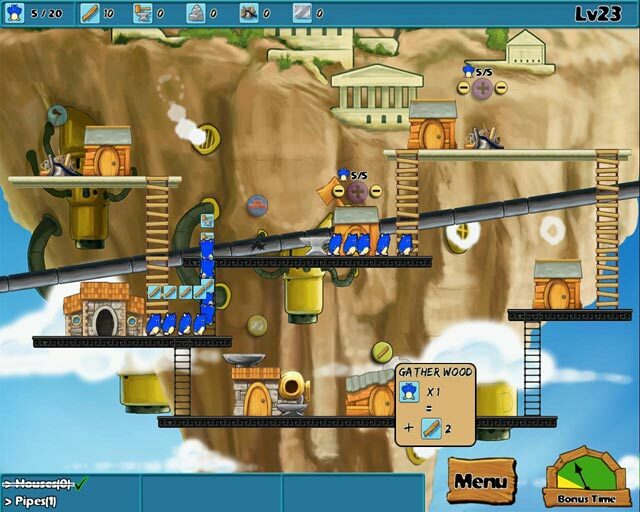 I love the music (soothing at some levels), the graphics are beautifully drawn and the little builders are cute and fluffy. I was amused and challenged at the same time. To the developers: Thank you for the creativity, you have put a smile on a gamer's face! 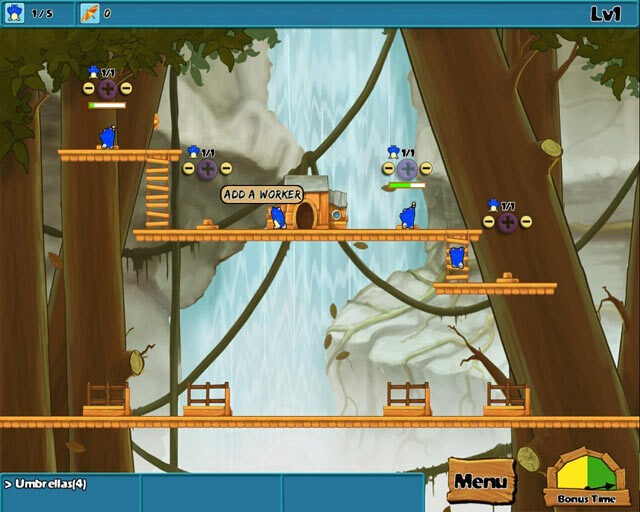 Rated 5 out of 5 by GrumpyX from brings a smile to your face Cute, fun and challenging (to get gold). Just buy it! Rated 5 out of 5 by boogienites from Absolutely loves it!! I can't believe I didn't even try this game because it looked as if it was a kid's game. 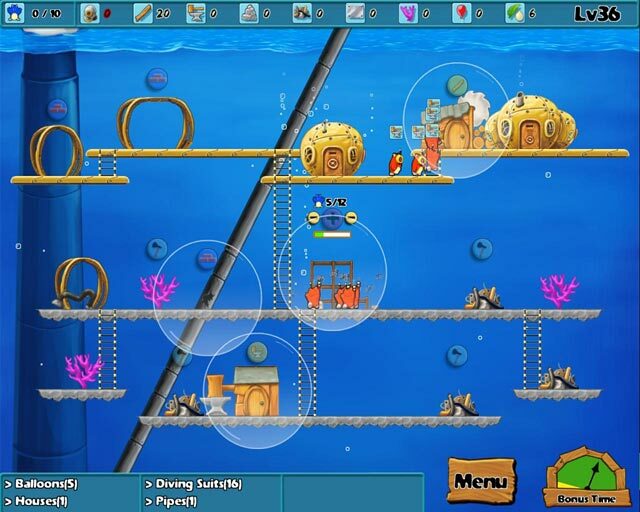 Starting searching for a time management game, and came across this one. I saw all the reviews and decided to give it a chance. So happy I did! It is really challenging and hours of fun. I loved it so much, I downloaded The Tribloos as well. Highly recommend this for time management fans. Rated 5 out of 5 by jen505 from Great TM I am an avid TM gamer. I have been looking and looking for a new TM game for months. This game has completely kept my attention. I like games that have challenges, without being discouraged. I like that you can finish each level but still have the option of figuring out gold. LOTS of game play here, in term of hours. It's not exactly a builder game like Build-a-Lot but similar. I am looking forward to the next version. Rated 5 out of 5 by spenthen from Don't let the screen shots fool you! I'm glad other reviewers have clarified that this is NOT a kiddie game. When I first saw them I groaned and moved on. I thought a second and went to look at reviews as TM games are so few and far in between. I'm glad I did. This game is cutesy, but it's also challenging. You cannot follow the same strategy for each level, which makes it that much more fun for me to play. There are plenty of levels and multiple 'worlds' to keep you interested. I'm glad I gave it a try! Rated 5 out of 5 by 1elephant from Terrific Game I don't review a lot of games but this was and is a great game. It can be very challeging trying to get done in time, but that is the point isn't it. Can't wait till the next one comes out. I would recomment this game to anyone who likes a challenge. The Tribloos are back in a brand new adventure! Join them as they try save their home once more.